Filing A Lawsuit Against My Employer for Improper Wages: Can I Be Fired? As labor law attorneys, our clients often ask us whether their employer can fire them in retaliation for filing a claim for unpaid wages. In short, the answer is no; it is unlawful for your employer to terminate you or to take other adverse employment action against you – such as by reducing your work hours or pay, for asserting your rights to recover your unpaid wages under the Fair Labor Standards Act (FLSA). You do not even need to actually file a lawsuit to be protected. Your employer cannot take such adverse employment action against you even if you simply register an informal complaint to your superiors about the fact that you are not being paid in accordance with the law. What does the FLSA say about wages? Minimum Wage Requirements: The FLSA, which is the federal labor law, provides that all employers must pay workers a minimum of $7.25 per hour, or $2.13 per hour for employees whose income amounts to more than $30.00 per month in tips. States are allowed to require a higher minimum wage rate and New York State laws offer greater protection that the corresponding Federal laws. New York’s minimum wage currently stands at $11.00 per hour for New York City based employees with 11 or more employees, or $10.50 per hour for employers with 10 or fewer employees. The minimum wage is higher in New York City for certain groups of workers, such as fast food workers and all tipped workers. Overtime Pay: The FLSA (as well as the New York Labor Law) requires employers pay overtime wages when employees work more than 40 hours in a week. The rate is time-and-a-half the employee’s regular rate of pay, or the statutory minimum wage, whichever is higher. How do I bring a claim for unpaid wages? If your employer violates the FLSA or New York State Labor Law on minimum wage or overtime pay, you can file a lawsuit to recover your unpaid wages. The law also allows you to recover additional money – often twice as much as the amount of wage owed to you, in the form of liquidated damages. You do not need to pay for legal services to assert your rights. Can my employer fire me for making a claim? The FLSA and New York Labor Law prohibit employers from terminating employees who bring claims to recover unpaid wages, whether due to the employer’s failure to pay proper minimum wage or overtime compensation. However, even terminating an employee in response to asserting their rights to recovery their wages is unlawful, some employers may nevertheless commit this unlawful conduct. 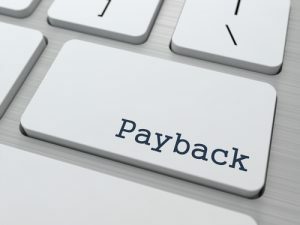 If an employer fires you or takes other adverse action, it is considered retaliation, and you may be entitled to recovery additional monetary damages. It’s understandable if you are hesitant to file a lawsuit against your current or former employer for unpaid wages, especially if you think your employer may fire you for doing so. However, the FLSA and New York Labor Law protect you against such retaliatory actions. Contact us at Cilenti & Cooper, PLLC for a consultation. Our firm is centrally located in Manhattan and serves all boroughs including Manhattan, The Bronx, Brooklyn, and Queens, as well as New Jersey.